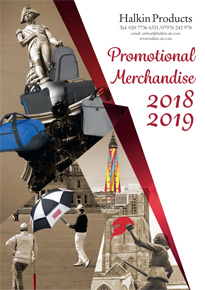 Halkin Products provides the best answers for all your promotional requirements. Here you can view 50,000 products guaranteed to enhance the most challenging campaigns. Look at our ideas list for inspiration and call us for suggestions.